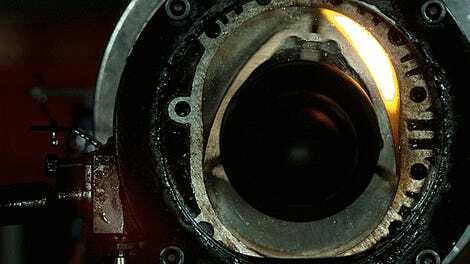 Opening up a rotary engine is fun, letting you see how those magic triangles make power. And it’s absolutely fascinating when they’re beaten to hell inside, with dents and scrapes and cracks, showing where all the wear points on these things are. 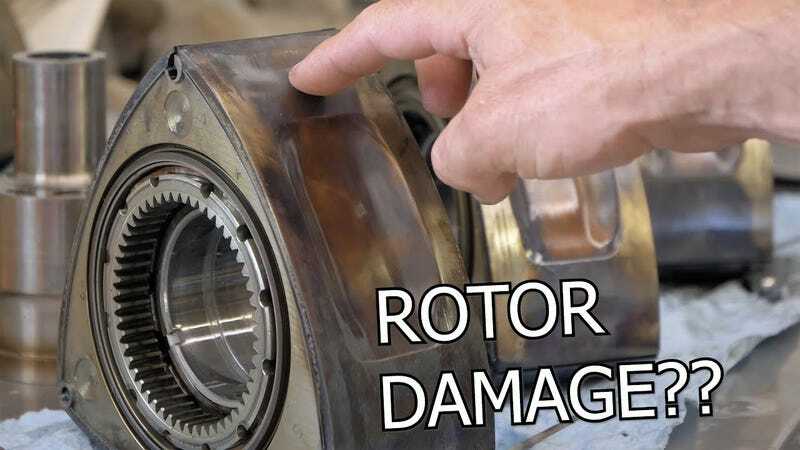 YouTuber Rob Dahm recently had the triple-rotor pulled out of his RX-7. The engine had been through what Dahm claims to be “nine years of abuse,” tuned up to make between 750 and 950 horsepower and neglected. Upon tearing it down, he discovered that, uh, quite a few parts were pretty heavily damaged. Cracked corner seals seem to be the main culprit. One of the rotors has a fat dent int it. We saw this video pop up on Reddit, and it’s worth watching in full to see all the carnage.